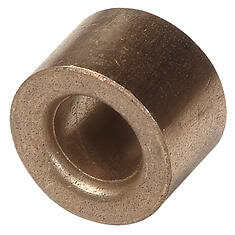 Has anybody ever had any trouble using a pilot bushing that is magnetic versa non magnetic,just heard there is a difference.Put in a lot of clutches and never even knew. the bearing during rotation, causing the bearing to fail early. Thanks for the replys,I just heard that if a magnet sticks to the new pilot bushing not to use it go to a non magnetic one, that are getting hard to find,have a new one here that magnet sticks to and a old new one in stock that's non magnetic.I guess the new one has more iron in it like grumpy said.